Melissa Konderik – Personal Quote -“Gymnast: One who defies the laws of physics just because she can!” Melissa Konderik was born and raised right here in Phoenix, AZ. She began her Gymnastics and Dance training at the very young age of 3 years old. Upon continuing both gymnastics and dance throughout her life, there became a time that she realized her passion and talent for gymnastics and chose to devote all of her time to training only in gymnastics. Melissa competed in both State and Regional competitions up until Level 10. She also ventured into competing Power Tumbling as her favorite events have always been Floor & Vault. 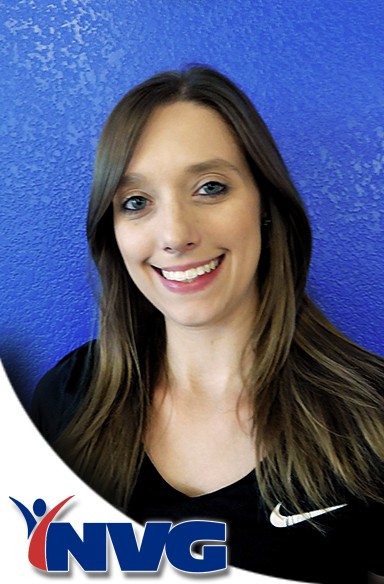 Melissa began coaching in the valley 12 years ago and fell in love with having the opportunity to share her passion and expertise for gymnastics. She truly enjoys inspiring and working with kids of all ages and levels to helping them grow and progress in this amazing sport. Melissa started coaching at North Valley Gymnastics in 2014 as the Xcel Director for the Girls Team and is looking forward to many more years continuing to help grow the program.